Treat yourself with a special holiday experience at the luxurious Clarion Grandhotel. The magnificent hotel with its traditional and historical yet modern interior and comforts is located in the heart of the center of Liberec. Look forward to uncountable churches as well as historical monuments. Especially worth seeing is the beautiful Renaissance castle in the center of the city which will make your trip unforgettable. Finish an eventful day in the BENADA restaurant with delicious national and international delights in a charming atmosphere. This beautiful Liberec hotel, located near the palace in the city center, was opened in 1906. 117 rooms combine history and tradition with modern comforts. Aside from a restaurant and a cafe, those in need of a spa in Liberec will not be disappointed in the beautiful wellness area with beauty farm. You can restore that radiant beauty in Liberec. Thanks to the many golf courses located nearby, this Liberec hotel is a mecca for golfers in the summer. Ski enthusiasts flock here in the winter for the ideal snow conditions (the hotel offers some skiers - subject to availability). Spacious rooms with all of the amenities leave no wish unfulfilled. The BENADA restaurant and a cafe offer very tasty national and international cuisine in a lovely atmosphere. Guests can rejuvenate in the hotel's own fitness center and sauna. 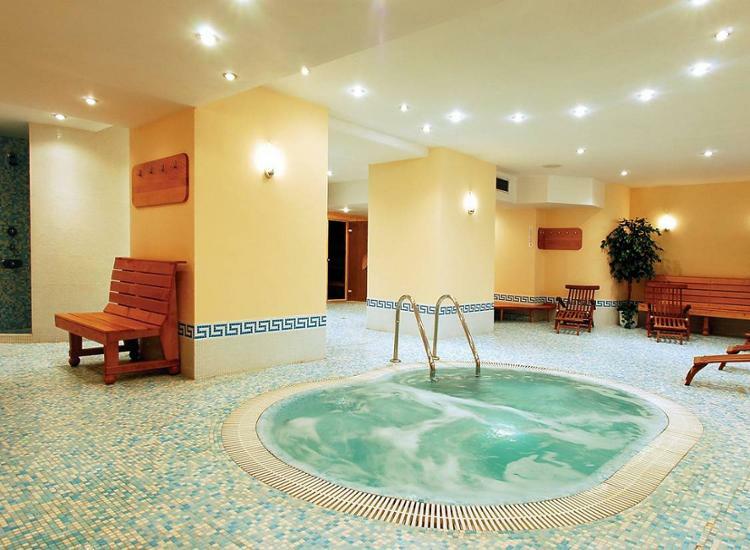 Top off your stay in this Liberec hotel with a wonderfully relaxing massage. You're guaranteed to feel like a new person. Strolling along the streets from your Liberec hotel, you'll discover unique details in the churches, squares and building facades that make up the beauty of the country. The city of Liberec is located in a valley between two mountain ranges. Ask about the many historic monuments directions from your Liberec hotel: The Renaissance palace in the city center, the neo-Gothic city hall from the end of the 19th century, the North Bohemian museum, the 16th century St. Anthony's church, etc. For a great bird's eye view of Liberec, the TV tower is a must. Those who enjoy skiing can get their adrenaline pumping at one of the many slopes and jumps on its slopes. And: Come to see the Botanic garden, the oldest zoo in the country with the famous white tigers. 99.98 € 49.99 € p.P. Top Location, Top Price - Discover the Cultural City of Leipzig!